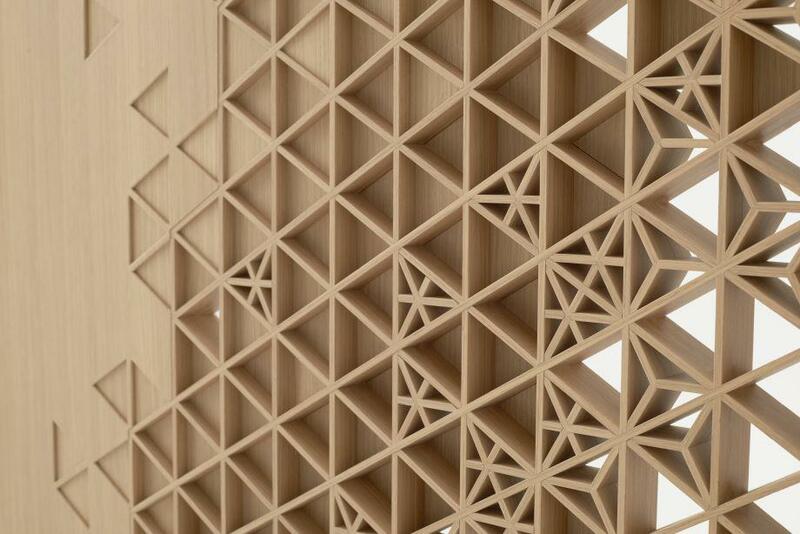 Abe Kogyo asks Oki Sato of Nendo to reimagine the common household door. 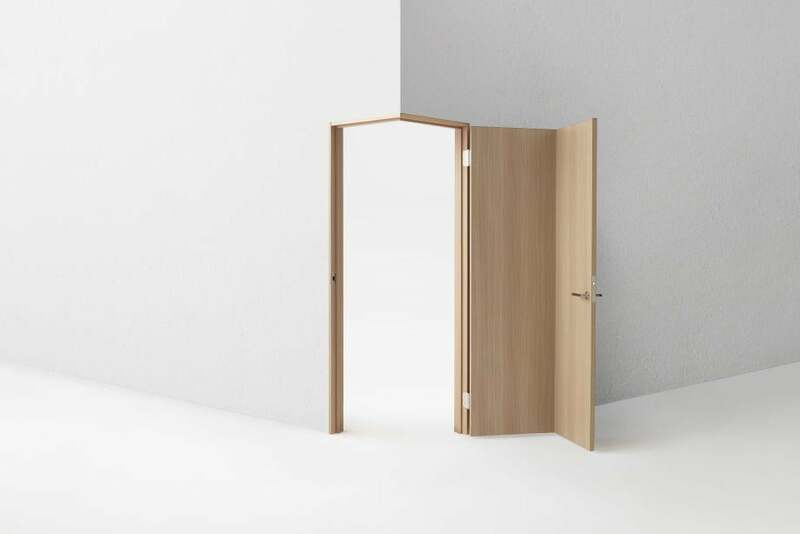 Japanese wooden door and furniture manufacturer Abe Kogyo celebrated its 70th anniversary by inviting Oki Sato of Nendo to reimagine the standard interior door. Throughout history, the door has been a blank slate for woodcarvers and decorative painters, often lending a bit of theater to the act of making an entrance. 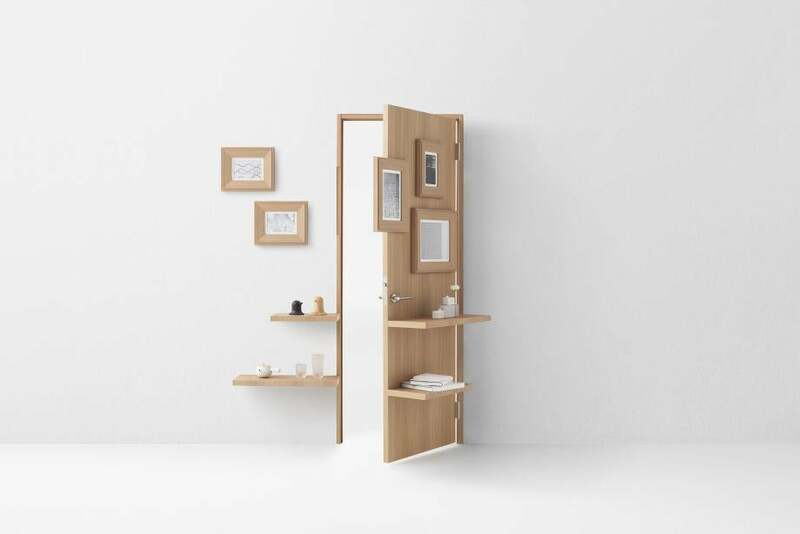 But these days your average bedroom or bathroom door is a generally boring affair, an inoffensive slab of interior real estate whose form follows function without making an effort to be or do any more than that. 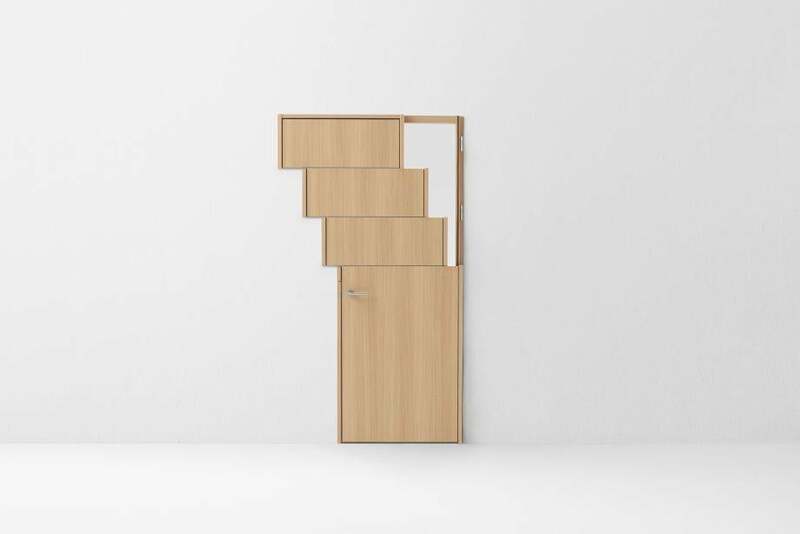 To celebrate its 70th anniversary, Japanese furniture manufacturer Abe Kogyo invited Oki Sato of prolific, multifaceted Japanese design studio Nendo to do a riff on the standard interior door. 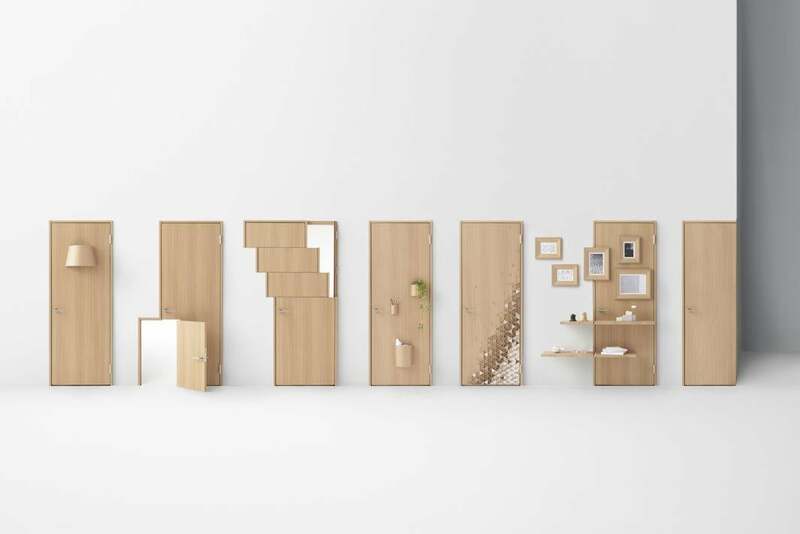 Nendo reimagined seven innovative variations of a basic wooden door that were recently on display at the Milan Furniture Fair. 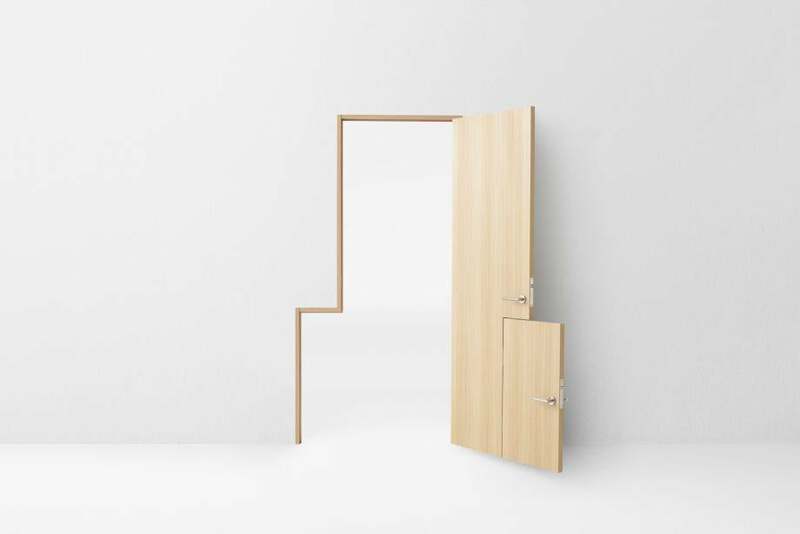 The door designs are not mind-blowingly radical reinventions of a familiar object. 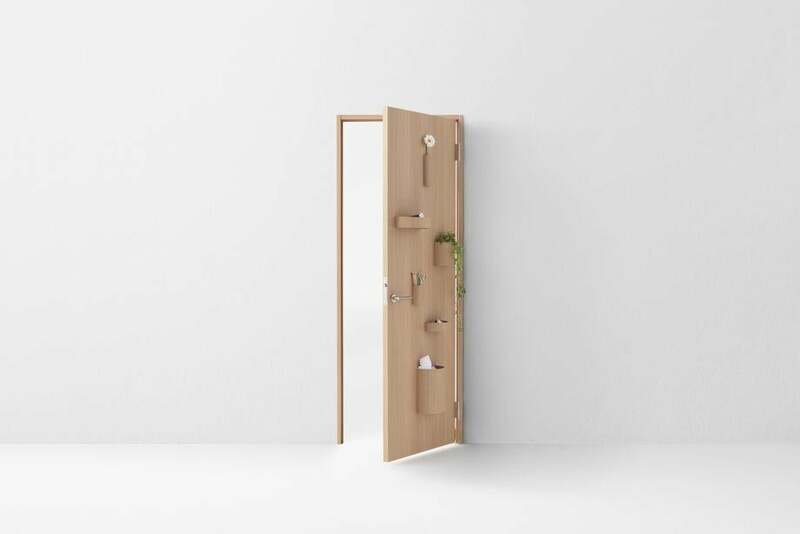 Instead, Nendo has used a basic door design as a point of departure for a series of fun, mostly simple alterations that add embellishment and dimension, reveal new geometries, and challenge our default instincts about door placement. While the doors are only prototypes, Nendo says that they were developed using technologies in Abe Kogyo’s wheelhouse and are meant as a template for future product development for the brand. 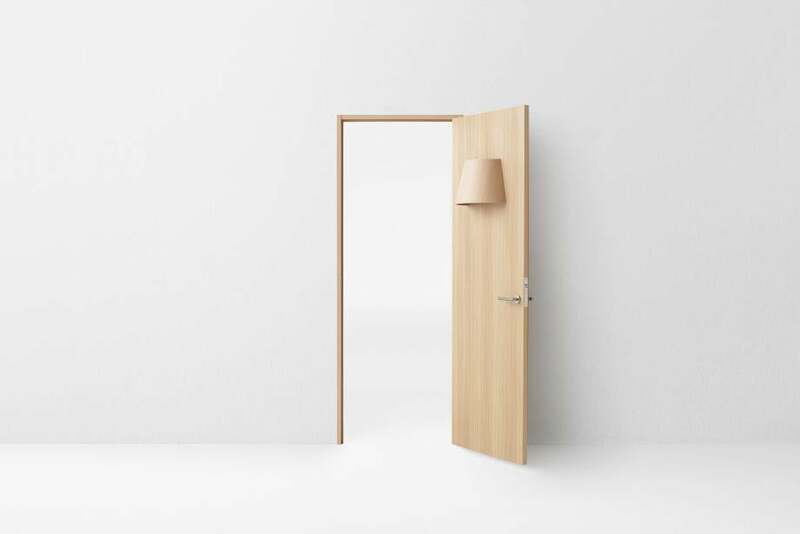 The “lamp” door has a built-in light using wiring technology used for electronic locks. The “baby” door is tailored to both adults and children. The “slide” door is based on the concept of a window blind and built using the techniques used to make sliding doors. It allows regulation of light and air flow and flexible connectivity between rooms. The “hang” door has a thin magnetic sheet at its core, turning it into a vertical open storage space that can hold trays, trash bins, flower pots, and other accessories. The “kumiko” door is named after a technique traditionally used in Japanese tatami rooms where wooden interior lattices are assembled without using nails. The “wall” door is covered with shelves and picture frames that have been specially cut to remain stable when opening and closing the door, and allowing the door to blend into the wall when not in use. The “corner” door utilizes a room’s corners as a point of entry and exit, challenging traditional notions of interior layout and offering an alternative to widen door openings for wheelchair accessibility.